NEVER NEVER NEVER use a tuner with one of these! NEVER NEVER NEVER switch direction when RF is 'hot'. You have to know what I wanted these for... QRP DX trips, I say again QRP DX trips. So when I was DX to you, they should work fine the other way too but you need space (real estate) to build these and I have no idea what they will be like next to a house. They do NOT fit in a normal domestic back garden. They HAD to work first time every time. I had to be able to carry this ALL myself to a DX location and put it up. So far this has worked for 40m, 30m 20m and 17m and a 2el for 80m. I am a QRP op but I made my controller so could handle power (hence the SJ2W boards) as one station on a trip I would 'borrow' had a big linear. In end never used more than 100W. The important bit of the controller was get the phase right and did that with 4 channel scope and junk box/bag of silver mica C and swapped values until got it right. Cable length inside and outside (especially) the box REALLY do matter. I grabbed some dual 6A PVC power cable and used that to make the windings, nothing special about the cable, had to be able to handle the power that would end up going through it..... I have a L meter that will go to nH and the value used was approx. I used a spreadsheet (see my blogsite) for the values. Seriously not rocket science, you use the typical formulae F=2 SQRT(LC) to make sure made it OK. In mine you are taking an input and splitting it to a 90, 180 and 270 output... so the LC network HAS to be right. I used T225B cores don't think it really matters. To get it to work... easy (after working it out)... put LOW power RF in, sample the different ports (50 ohm dummy loads on them all) with an oscilloscope. You could use a power meter but you NEED to see the phase differences. At it's simplest using a 2ch scope you will see TWO signals depending which is which and you should see the phase difference... simple. Repeat for the other outputs. If they are NOT close to the 90,180,270 so the directions will be in/out of phase rework the windings and the capacitors you use, there really is no alternative. Get it all working at low THEN increase power, borrow power meters if you can and put them on the different ants unless you have homebrewed some kind of current sampling. Switch power off, swap directions, that will tell you how much power will be going to ant 1-4 based on the phase etc... if not equal or you have poorly made verticals you might get odd patterns and more seriously the dummy load might see way too much reverse power when select one ant or another. That equates to lost RF energy. Even with a KW going in and some care on construction mine saw less than 10W going to the dummy load. I put dummy my load in different box (see elsewhere on blog) so it could be cooled separately. Some just put it in the same enclosure, some use actual dummy loads I do not think it is important what is used as long as it matches the antennas load. Noone seems to say this, maybe most assume builders will know as maybe obvious, the 'controller' is actually two LC circuits back to back AT the frequency of the verts so it is vital you don't build that for say 7.030 and then try and use at say 7.090 verticals, or worse use a tuner .... the word idiot doesn't even cover it. I have heard one guy built for 40m and then used a tuner and raved it worked on 80m, I am not going to comment. Likewise never never never switch with RF hot, I really don't care what relays you have, the contacts will get damaged. Don't ask how I know that one.... switching on RX fine, infact you will do that a lot once you learn how to use it. My GP were built with heavy duty speaker wire (I think it was) also able to handle KW+ (remember the wire acts like a fuse too!) and all 4 were IDENTICAL... that is 110% vital, take time over making them, the performance of a 4 square antenna 110% relies on these! I used SOTABEAMS 10m travel poles as cheap and reliable and worked for me, the support doesn't really matter as long as not carbon fibre. You could (as many have) just use Aluminium tubing directly. The wire for mine I very wide spacing spirally wound about the poles so even in higher winds the wire doesn't flap about. The feed lines between the verticals and the controller box is very very important. They are often called phasing lines. I used, lots of chats with Dave G4BUO was the most helpful in the area, was brand new CT100 TV sat coax with SOLID core, foam dielectric, foil and braid dual shielding and well able to take KW and it was 75 ohm (This matters as 50Ohm coax will be way too short for the feedlines at 1/4 wavelength separation, you will have to make them 3/4 wavelength long, will work just as well try it and see!). A: Not really. In C6AKT I used with 8 raised radials per verical and good have benefited from a lot more. The site was literally right by the shoreline too. You need 4 really good 1/4 GP antennas so focus on building those. Q: I was looking at your 4-SQ build pages. 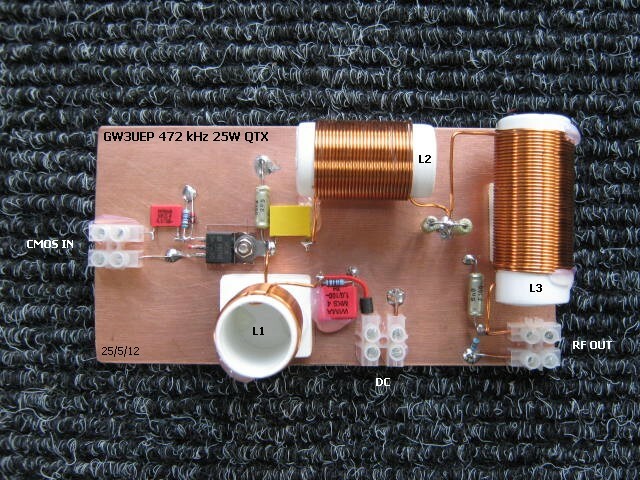 I am also building an SJ2W board for 80m, using T225A cores. My LCR meter is at the bottom of its range for the inductance required and it is +/- 0.5uH so it hardly worth using to make the toroids. May I ask how you made yours? Did you measure the inductance or just use the calculated number of windings and then tune with the Scope to make sure the phase of each output was correct? A: See above. I measured the L on the cores before hand. If you do not have a meter and you have the cores from a good source perhaps use the calculators (google for them) to work out what the L value should be. Q: Can you use variables for the C values? A: I do not see why not but one big caveat is temperature variations will be a factor. Initially I used two variables and then switched with fixed values. Q: I only have a two channel scope and am very inexperienced in using it. Do you know of a guide I could follow on how to tune a 4SQ set up? A: see above for steps. You must be able to obtain a nice simple plot on the oscilloscope of the input signal (at very low power levels). If the timebase cannot cope with the signal frequency, borrow another one. You cannot do much if it will not. Q: (more a statement really) I am somewhat afraid of putting too much RF into the Scope and letting the smoke out! Q: Why do you bother isn't a simple dipole/endfed/random wire good enough as I made nnn qso from ? A: Yes a dipole/enfed/random wire will work too to a degree but you have to understand why I wanted them. 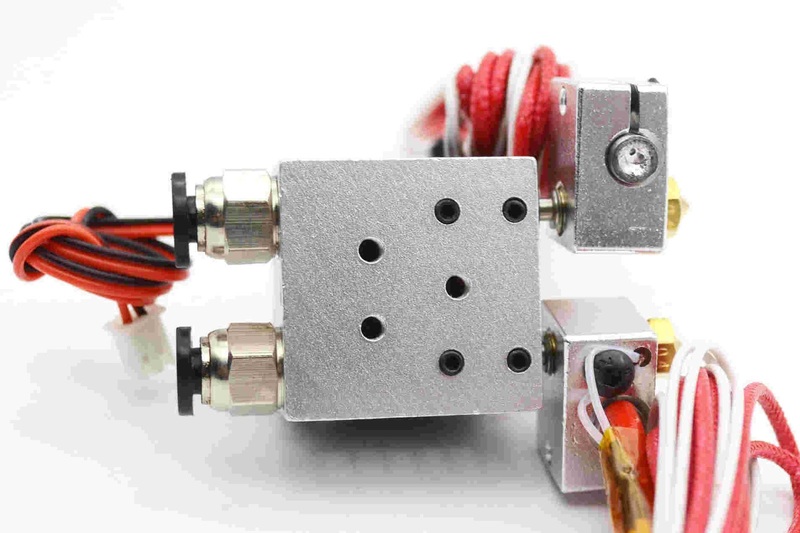 I built mine for RX directivity NOT TX gain. I'll say again RX not TX. RX >25dB F/B should be easy to obtain. I never cared about TX gain. When you are the DX, especially QRP, an oxymoron for most, you absolutely MUST be able to hear the other side and on LF a GP is great but frankly bugger all use if you need to be sure about one station in couple hundred calling you especially when 99 are at 59+40db and the one you want is 57 at best. The effect will be any QSO rate slows down big time. I was just looking for RX directivity and came on this all by accident when in SM I had three verticals in a row for a contest on different bands and for fun after contest made a 3el 40m yagi... not for TX but RX. I played with spacing so I could hear the far DX location I wanted. The separation makes a huge difference to the signal F/B ratio and take off angle as sure many know. I made up some FT-114-43 transformers I think to measure the current in each antenna but in the end seemed fine. Honestly I think chasing TX gain in antennas at HF is almost pointless for a DX op... Directivity and RX gain is where the major benefit is. I do go for the salt water gain though which seems like 3dB every time. That is why some of the top DXCC count guys don't really care about RF 400W, 100W or even 10W.... ask 'em about their antennas on RX. Ask any DXped why do they spend so much time on decent antennas for RX. Q:That box I used a few times, (you will see in this blog) few have asked why not a metal one? Where did you get it? A: Well it was cheap (£5) and I bought a few. Made from ABS and clear top as was light weight, IP56, cheap, fitted the board etc and it was important did not mess with the RF when lid on. 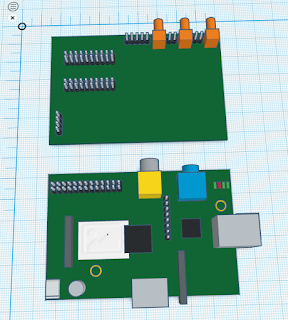 My 1st PCB version looked really professional in an old sweet tin but there was so much interaction it was hopeless. I got it from ebay I am sure most electrical wholesalers do IP56 outside enclosures it is one of those you want. DONOT use a dicast box for it. Q:Will you ever make a 'kit' for someone to make this? A:Not sure there is either enough in it for me or there are too many 100% homebrew designs out there now? A:Almost certainly. I actually made one using point to point wiring, for 30m, and T50-2 cores. There might be mileage in making up a PCB that will suit QRP. Q:What do you use for the controller cable, when you need to switch directions. A:It all depends what is doing the switching really. If 12V relays you need to be sure that 12V is actually getting to the relay (or you use a transistor circuit to pump up the voltage). To use in one direction or other, as the relays are not latching types, you need the voltage to keep the relays energized. This is NOT battery friendly! I expect you could make the control switching wifi based and use a remote (local to the controller) uPC board but I've not done it yet. Some have used 5V relay instead of 12V ones and 24V as long as the cables can handle the current and there is not too great a voltage drop. I use CAT5 for the first few after checking that I was getting 12V at the control end. Now I tend to use shielded caravan signal cable. REMEMBER this cable is in the RF field so it will (not could!) have induced currents in it. Q: Can this be built for other frequencies? A:Yes but you need to be aware that as you go up in frequency the factors related to significant attenuation in the transmision lines of the signals etc start to make this design much less effective. I wouldn't build one at 10m or 6m. I have built one for 15m. 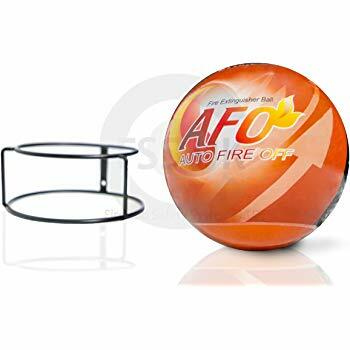 The bible for 4 square for me is ON4UN book on LF but lot of his maths escapes me.I would love to find time to investigate the option of adding a 5th vertical, placed where the controller is but that is a different antenna. Well this started as just a query for where might be the best place to take stuff into a "I'd like that", "do you have one of these?" series of discussions and email pretty much got mobbed. The R1155 has found a very good home and will be off to an RAF Museum where to be honest it belongs as it is part of our/their history. I am pretty sure this one was used on a launch which fished crews out of the North Sea. The HRO-M I still have to find a home for it, this one was also marked as an R106 and did time as a VI set and I am aware it has provenance so this is not being just sold on. Lots and lots of 60's and 70's era valve kit looks like will have a new home soon. The 1920's and 1930's era valves for ARRL TNT etc (all old globe type valves) as well as a set of B2spyset valves will be off soon. The Sussex valve tester will go too that looks like it has a good home as well. A couple of new build parasets, using old components I have to figure out what state they are in. Lots of components as well. I'll inventory what valve kit is left soon including all the relevant books etc. There are quite a few FT243, 10XJ et al crystals that I will find a home for. Then will go through some of the more modern rigs, projects I have not really looked at for a while and quite a bit of test kit, so in the end I will have a much reduced shack/workshop. No not giving up the hobby just rationalizing stuff as I need the space as well. 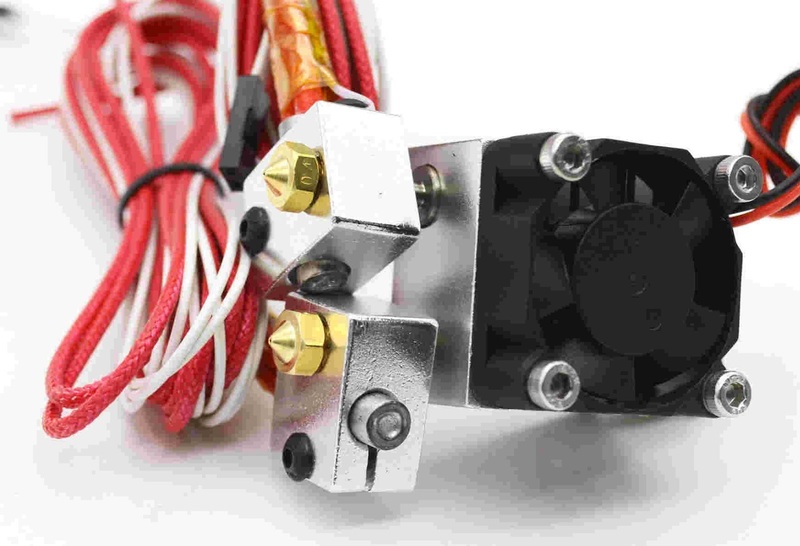 Going to see what this looks like on the old K8200 3D Printer a Chimera V6 dual head with remote bowden titans extruders will set it up for 3mm and 1.75mm. I have a feeling I might try some PVA dissolving filament as support material. 0.2mm,0.3mm, 0.4mm and 0.5mm Nozzles for 1.75mm filament, also have some 1mm and 1.5mm for 3mm filament. Looks like the heaters can be either 12V or 24V and the thermistors are standard 100K NTC glass bead type. I'll add a pair of silicon J6 clone socks to them as well so can differentiate between them. The mount will almost certainly be an aluminum plate or 3D printeted backet. Looks like RAMPS1.4 will happily accommodate the extra extruder and hot end. 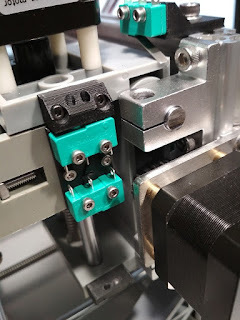 The filament run out sensors will also be separate, not sure can have on both but will investigate. 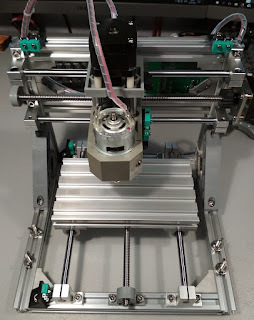 Set a job running, it was all running fine but found the CNC had happily reset it's origin after 1st PCB was milled (8 pcb on the same bit of PCB/FR4), As the shorter armed microswitch had not triggered when it was supposed to. The sacrificial table cover had been milled instead for the next 7. Oops. So swapped out the Y axis micro switches for some longer arm ones instead. Think I might look at 3D printer Raspberry Pi and Octoprint / Octolapse type functionality with a small camera so can catch issues. 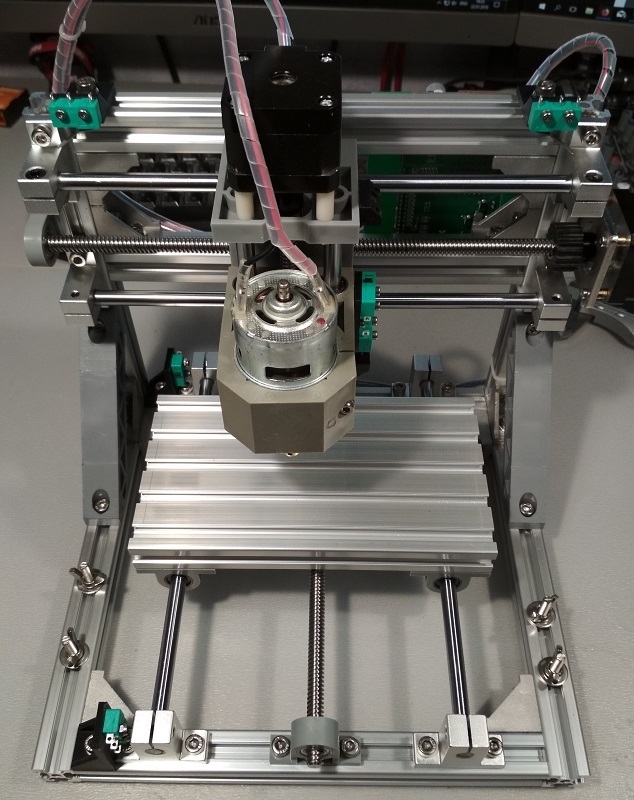 I think there is a Prontoneer Raspberry Pi CNC shield that is basically the same as the Arduino one but you aslo get the Raspberry Pi control.